For many years my hand-painted wooden peg dolls, representing my family, have stood in pride-of-place on my bookshelf. But a while ago, a terrible thing happened. We lost one. 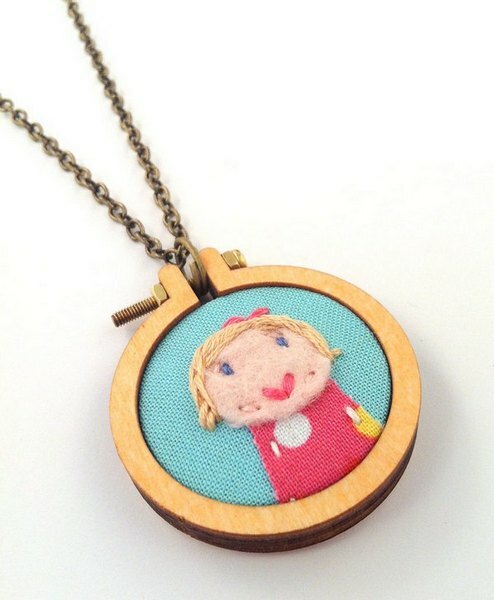 The house has been turned upside down and the vacuum cleaner emptied but alas, the little wooden peggie of my daughter was nowhere to be found. 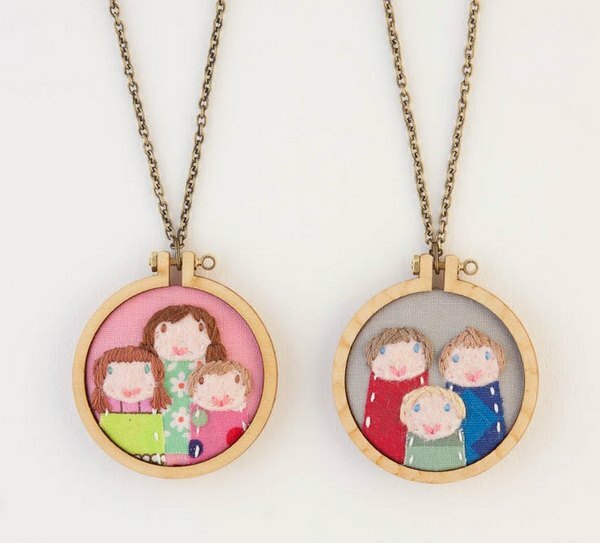 In searching for a new ‘family portrait’ with a difference, I came across these very special embroidered pieces. 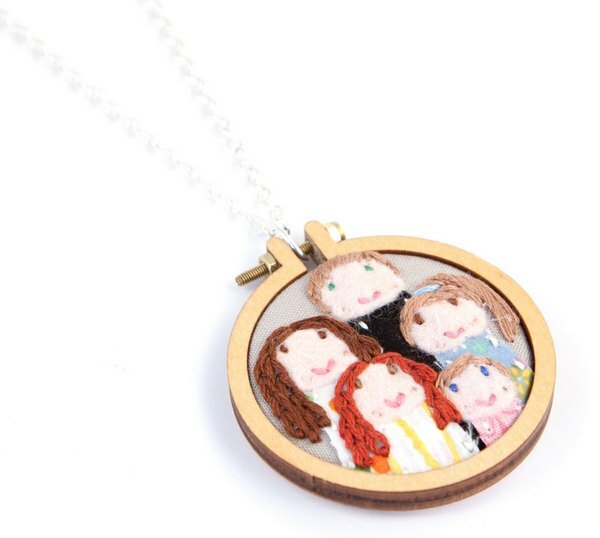 Dandelyne, a Melbourne-based Etsy store, is the home of tiny, personalised embroidered portraits of your family (or friends, or pet or whatever you like!). 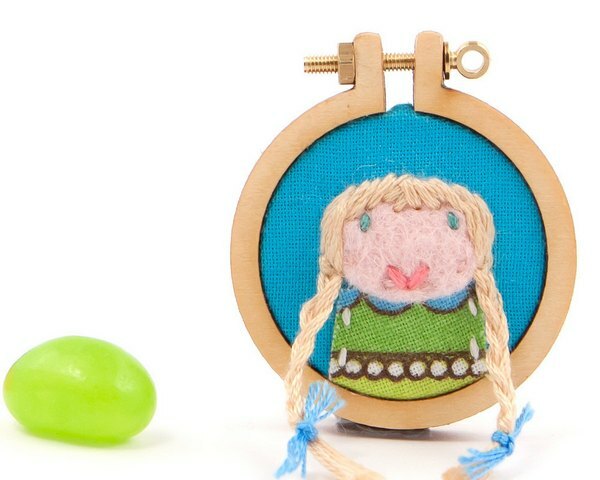 Designer Sonia Lyne uses fine embroidery floss and patterned fabric on miniature wooden hoops to create a portrait that can be worn as a necklace or a brooch. Larger hoops are available as wall hangings. You can specify the details that make your family unique – obvious things like hair and eye colour but Lyne also does “…beards, glasses, guinea pigs, plaits”. In other words, she goes the extra distance to capture the perfect portrait. 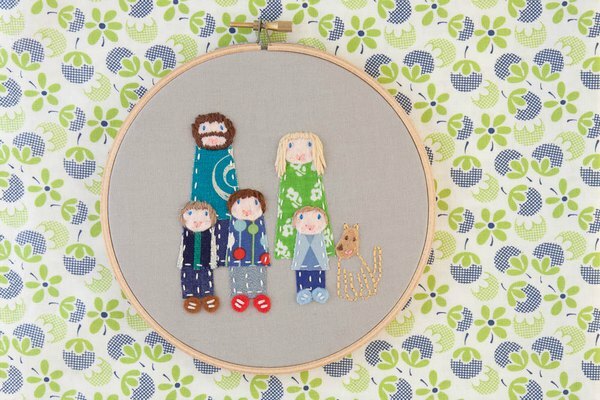 Lyne worked her tiny-stitches magic on a family portrait for our managing editor at Babyology, Mandi – it is adorable and we all want one of our own (see below)! 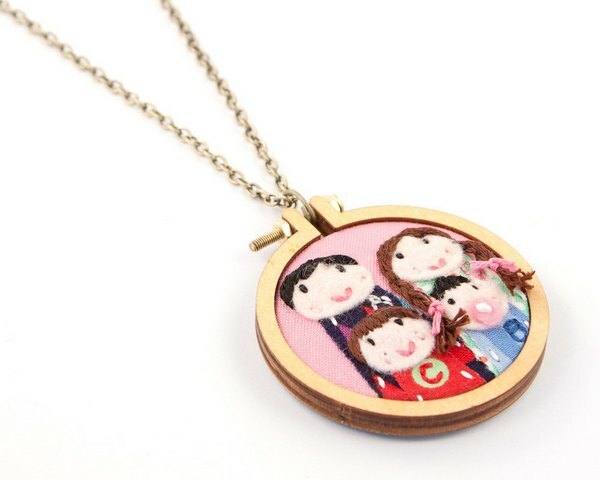 The personalised portraits are available in three different sizes depending on the number of people in your family and begin at $45. Dandelyne ships internationally.